Human Resource Management System often called HRMS is all about managing staff, employees and labors of an organization of any kind. HRMS starts from employment and ends with Full & Final settlement. Even after F&F, organization may need to keep records of employee those who have left the organization. 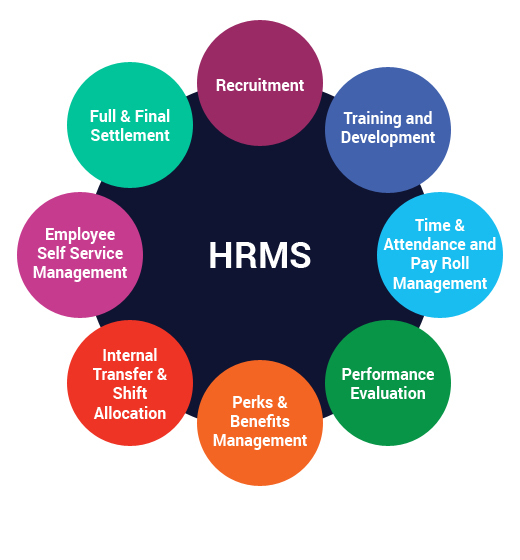 HRMS also deals with time & attendance, pay roll management and pay slip generation. In simple, HRMS is Managing complete life cycle of each employee. Cloud technology, Smart Phone, Tablets, and Touch based KIOSK is taking employees to the next level in using HRMS solution and giving them the new experience.